Tehilah Eisenstadt officially joined our SAJ community in July 2016. She is a Jewish educator, activist, officiant, consultant, community builder and storyteller. She has worked in leadership roles with prominent Jewish educational agencies and non-profits such as Storahtelling (Lab/Shul), The Covenant Foundation and The Pardes Institute of Jewish Studies for more than a decade. She is honored to teach and lecture across the US on Jewish topics where ancient text and ritual intersect with meaning in our lives today. Tehilah believes that her Jewish heritage is what gives her the strength to make the world the place we want to live in, and we want our children/future generations to enjoy and cherish. She works with a team of multi-faith leaders on ongoing issues related to Jewish values, particularly surrounding the abducted school girls in Chibok Nigeria in 2014 and child trafficking issues around the world. Tehilah previously served as Community Director at Luria Academy of Brooklyn, a post-denominational, Open Orthodox, Montessori Jewish Day School. She also served as a curriculum writer, teacher-trainer and community builder for Jewish and Muslim communities, including: Cordoba House, Huntington Jewish Center, Kings Bay Y and Storahtelling. Tehilah has especially enjoyed facilitating adult learning experiences around Jewish texts involving body image/relationships to our bodies and early childhood programs exploring international Jewish culture (food and folklore). 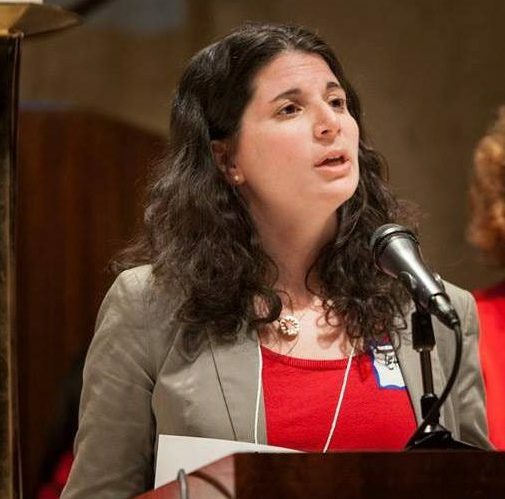 Tehilah serves as a volunteer mikvah guide and educator for ImmerseNYC and is on the Board of Directors of AJLI (American Jewish League for Israel). Tehilah received her Bachelor’s Degree in Literature from Binghamton University, her Masters degrees in Jewish Education and Midrash (biblical exegesis/”behind the scenes” of the Torah and other Jewish lore) from the Jewish Theological Seminary, and is a graduate of HUC-JTS’s Leadership Institute. She has recently completed a life-long dream by gaining certification in working with children ages 0 – 4. Tehilah is married to Simon Feil. They are the delighted parents of Adin Geshem. Tehilah can be reached at Tehilah@thesaj.org or at (212) 724-7172.